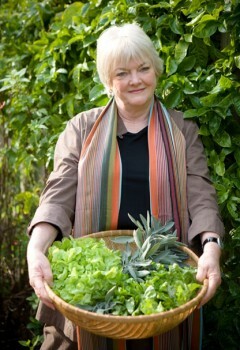 Stephanie Alexander is best known for her monumental The Cook's Companion, the first port of call for nearly every Australian cook, including this one. But Alexander has just written a memoir titled A Cook's Life and has been talking about it. Stephanie, congratulations on your book. I would have thought it quite a brave book to write, as an exposé of your life. What prompted you to share your memories and experiences now? I have explained in the introduction of A Cook's Life the exact moment when I decided to try and write my memoirs. And sometimes it was painful and sad to remember and reflect, and at other times I was delighted with the memories that flooded in. It seemed important to try and acknowledge the importance of both. The book is a memoir, rather than an autobiography. It is not a record of my entire life, day by day. Very early on I realised that my recollection of many of the important dates in my life was infuriatingly vague. I knew when I was born, when my siblings were born, and I could easily recall watershed years of school entry, university entry, travelling to Europe the first time, and opening restaurants, but within these huge chunks of living I had to do much digging into old notebooks and cross-referencing my guesses with the memories of my friends. I loved reading about your early life and trying to pick the experiences and influences that would have an impact on you later. It does like seem like your mother was pretty extraordinary - can you tell us more about your childhood and how that's shaped you today? I am aware that my childhood was very different to the experiences of most of my contemporaries and I am what I am today because of the influence of both my parents. Food, friendship, books and an interest in the wider world were part of my life ever since I can remember. This page contains a single entry by Perry Middlemiss published on April 2, 2012 8:48 AM. Poem: To an Impecunious Poet by J. S. was the previous entry in this blog. 2011 Aurealis Awards Finalists is the next entry in this blog.